Sorry, but Captain Olimar will be sitting this one out. 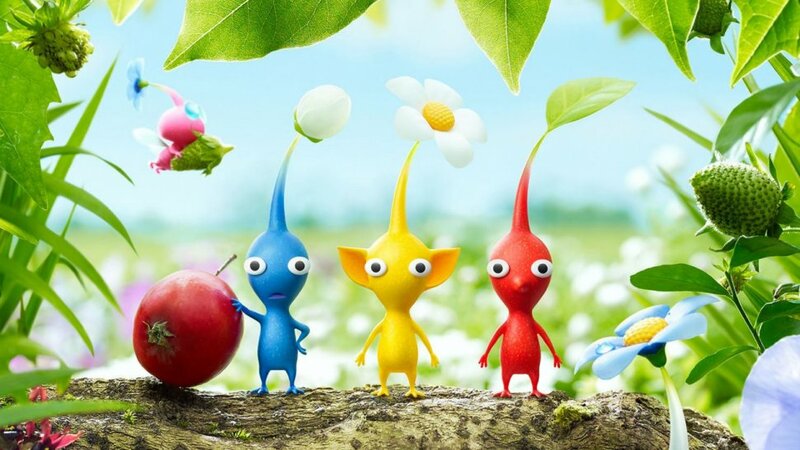 Wii U owners may have been a little disappointed that they’d have to wait for Pikmin 3’s launch later this year, but delaying its release may have been a great choice for Nintendo to make. As revealed by Satoru Iwata, Pikmin 3 will now have multiple control variations to suit almost everyone’s way to play, among the new features found within the gameplay itself. Secondly, we have extra news on the playable characters in Pikmin 3. Unfortunately, the main protagonist of the series, Captain Olimar will not be appearing in this game. 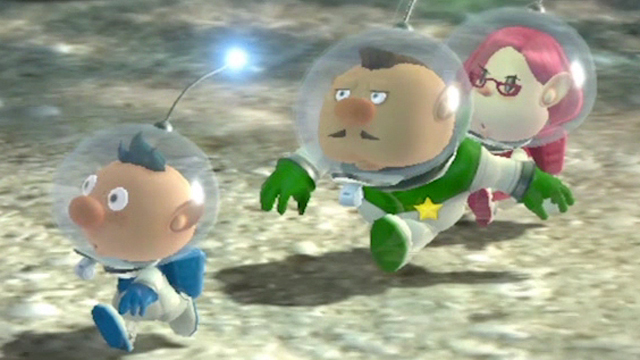 Instead, we’re introduced to three new characters (from left to right): Alph, Captain Charlie, and Brittany. Using them separately to carry out multiple tasks across the map, each character will host their own group of Pikmin under their command. The objective of the game is for these three to collect various fruits and use their seeds in order to save their home planet of Koppai from starvation.